This durable, anodized aluminum rub rail was developed to eliminate the tedious and expensive task of fabricating rails from scratch. This unique design allows optional LED lighting to be installed directly behind the rail bringing the light to the operator’s feet, where it belongs. 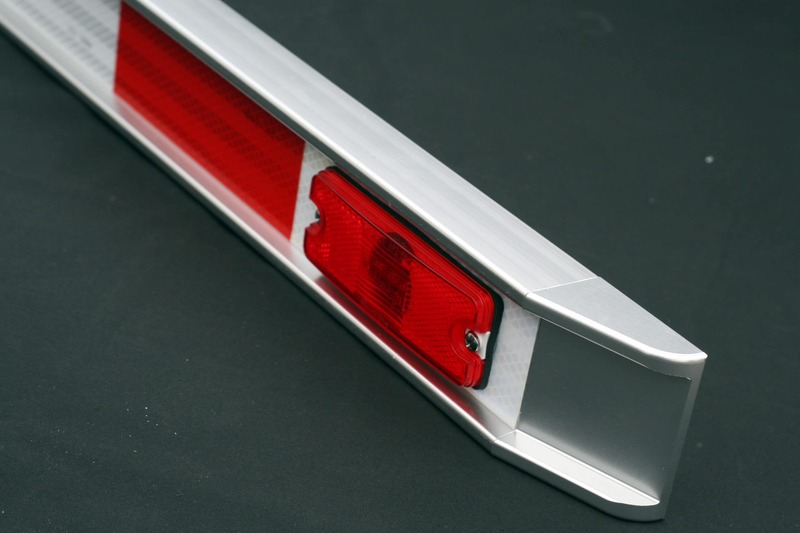 Billet aluminum end caps are standard with a recessed fascia to protect optional LED marker lamps and reflective tape from damage. Each rail comes fully assembled to your specification and ready to install. 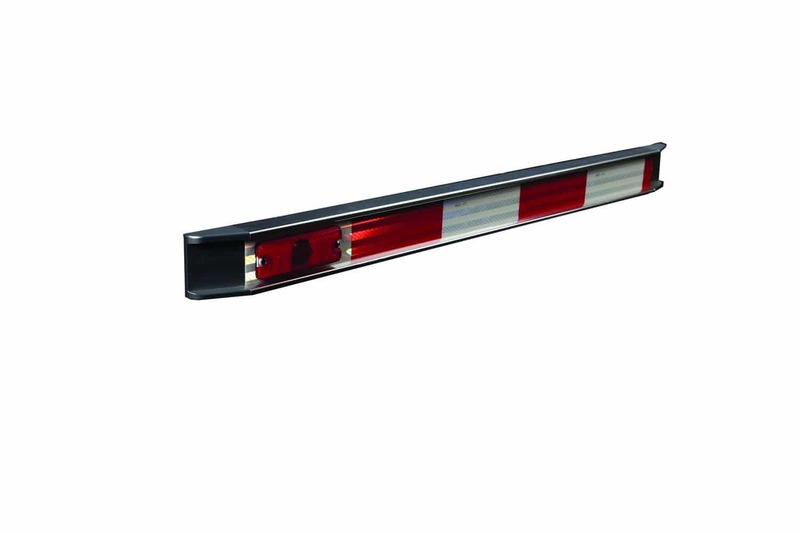 Each rail comes fully assembled and ready to install with optional lighting, conspicuity tape, marker lights and includes a limited lifetime warranty. 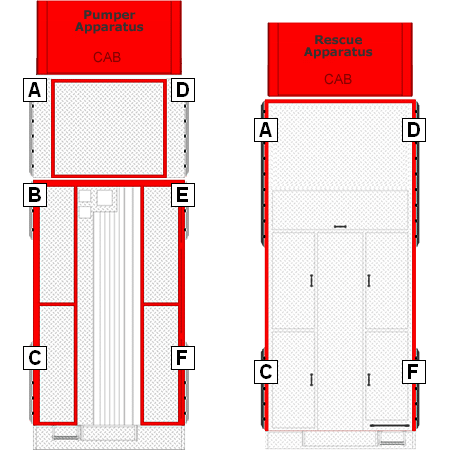 Click Here to see engineering schematics. 12"-24", 24"-36", 36"-48", 48"-60", 60"-72", 72"-84", 84"-96", 96"-108", 108"-120", 120"-132", 132"-144"